FEATURES/SPECS Do you know someone who can't get enough of Texas Hold 'Em Poker? 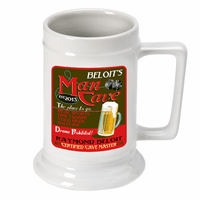 Well don't let them drink out of any other beer mug but this one! 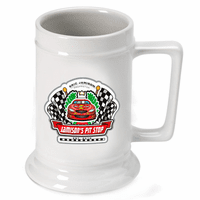 Made of solid white ceramic with a capacity for a full pint of their favorite brew, sixteen ounces, this classic beer mug comes printed in vibrant color with a classic poker theme. It has a partly revealed royal flush hand and some poker chips with a banner between them. 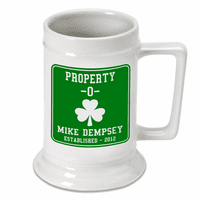 The banner has the recipients last name and along the top of the stein, you'll add their full name listing them as the proprietor. 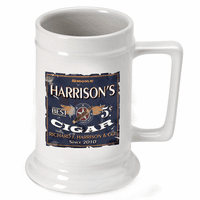 This personalized poker beer mug is a perfect gift for any guy or gal that has a game room or man/girl cave. 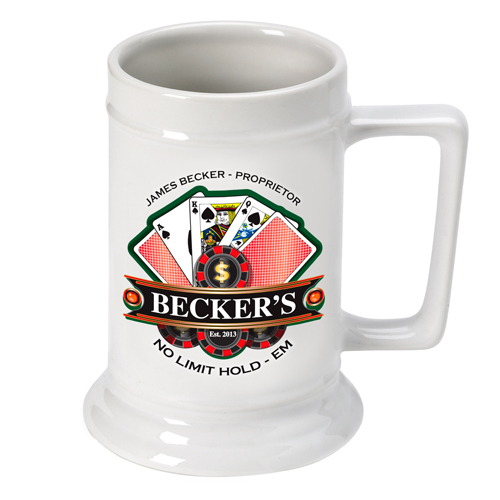 Comes personalized with the words "No Limit Hold 'Em"